We tried tubing a couple years ago, and with friends in town, we decided it would be a fun trip with guests. I booked ahead online to reserve our spot for 8 people at Tubby Tubes. They often run deals on Groupon or Local Flavor, which is worth checking first before booking. Otherwise, the adult ticket costs $29, and children are $24. 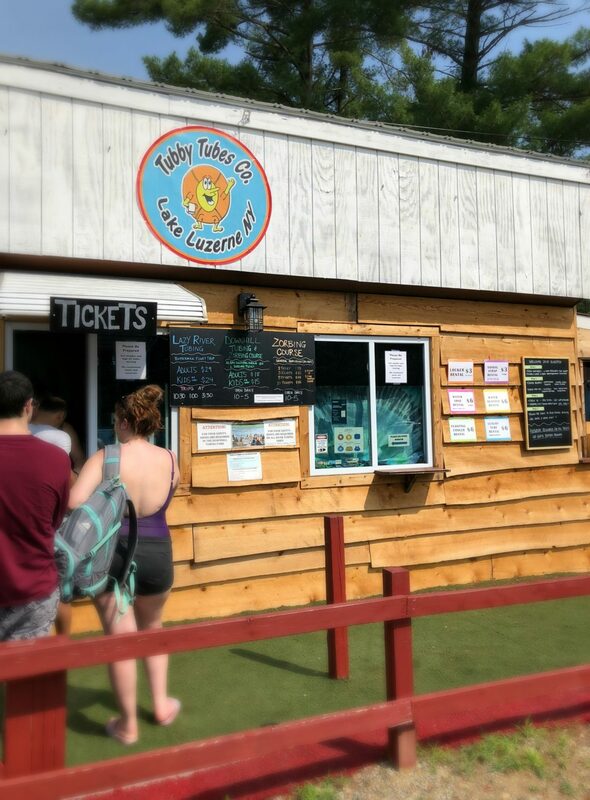 Tubby Tubes is located in Lake Luzerne, just north of Lake George. The tubing itself is on the Hudson River (you take a bus to the tubing location). It is recommended you arrive 30 minutes beforehand, which is definitely a good idea. It gives you time to park, get sunscreen on, use the bathroom, check in and pay, etc. We had 3 adults and 5 kids, and spent most of the 1/2 hour getting everyone ready, filling out waivers etc. I recommend filling out your waivers before you even get in line. Once we were checked in, we got fitted for life jackets. 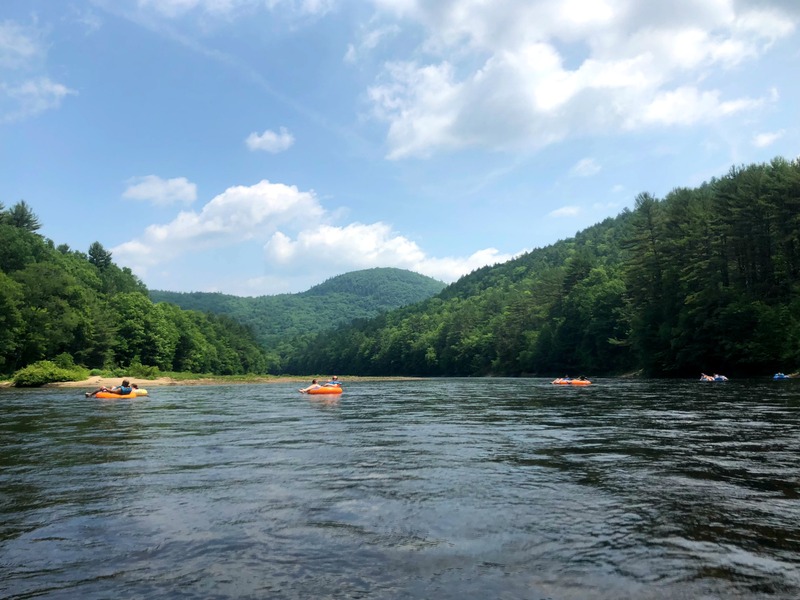 Everyone wears a life jacket on the trip, and there are a variety of different sizes and types of rafts so that you can find just the right kind. My friend was glad to find a kid’s size raft that has a bottom to it, which was perfect so that her son wouldn’t feel like he was going to slip through. I recommend the upgrade to the blue tubes that have headrests and cupholders (which costs $6). The regular tubes are fine, but you can end up with a little bit of a neck ache. 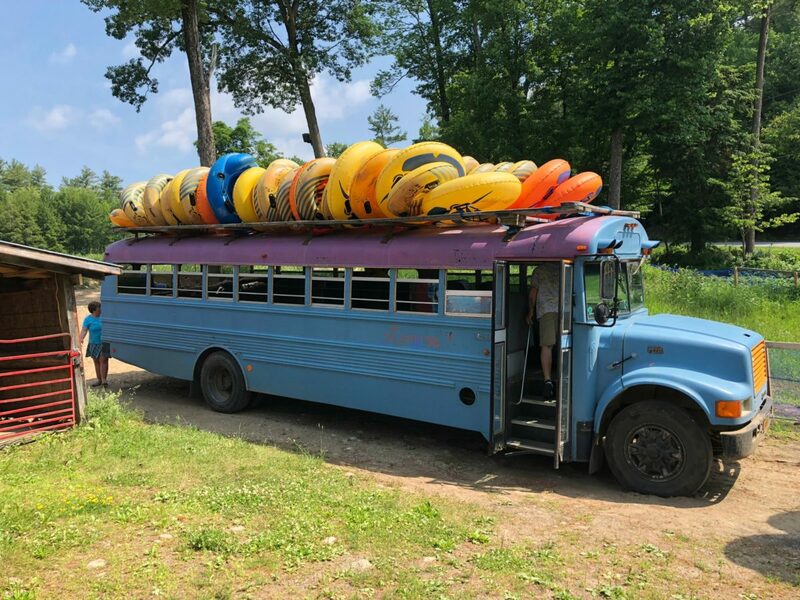 We took a caravan of three school buses to get to the Hudson river, and I want to say that the ride was about 15-20 minutes. Once we reached the river, everyone got their tubes and the guides gave us instructions. 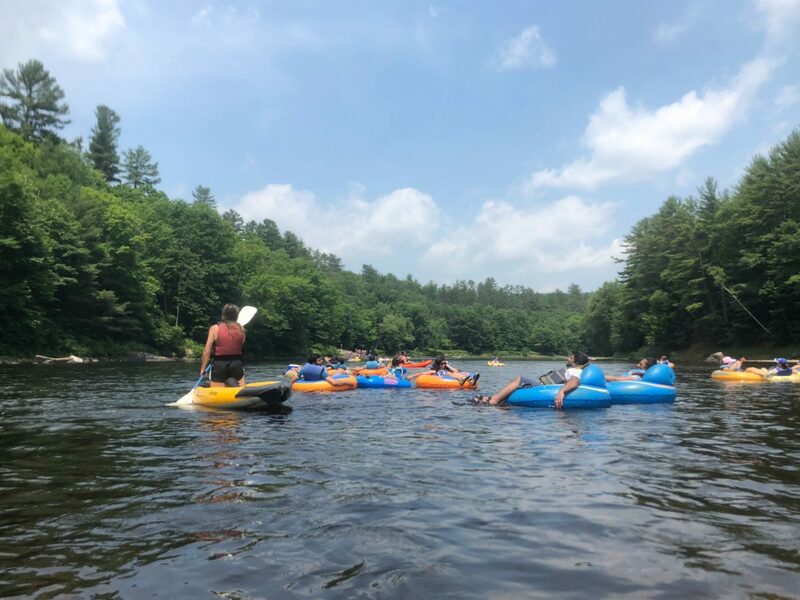 Everyone launched their tubes at the same time, and numerous guides used inflatable kayaks to keep everyone safe and on track. If our tubes drifted, went too slow, or if your party got separated, a guide would quickly push your tube back on track. I was pleased with the guides, who were very good about giving instruction and keeping everyone safe. You can really bring kids of any age because the experience is geared to all ages and the guides are so careful. You can also tie rafts together, and so we kept the younger kids paired up with adults. Tubby Tubes provided ropes, but we brought some extra just in case. The trip down the river was relaxing, and we floated along enjoying the scenery. We stopped briefly at a swimming area, which wasn’t the best, but it was nice to stop. The rocks were a little slippery and the cove was busy, but it was good for the hot weather to be able to get in the water. The time on the water was about 1.5 hours, and then we got out and back on the bus. This time the ride was a little shorter, and soon enough we were back to Tubby Tubes. I went back to the car for towels and changes of clothes, and the kids changed in the changing rooms. 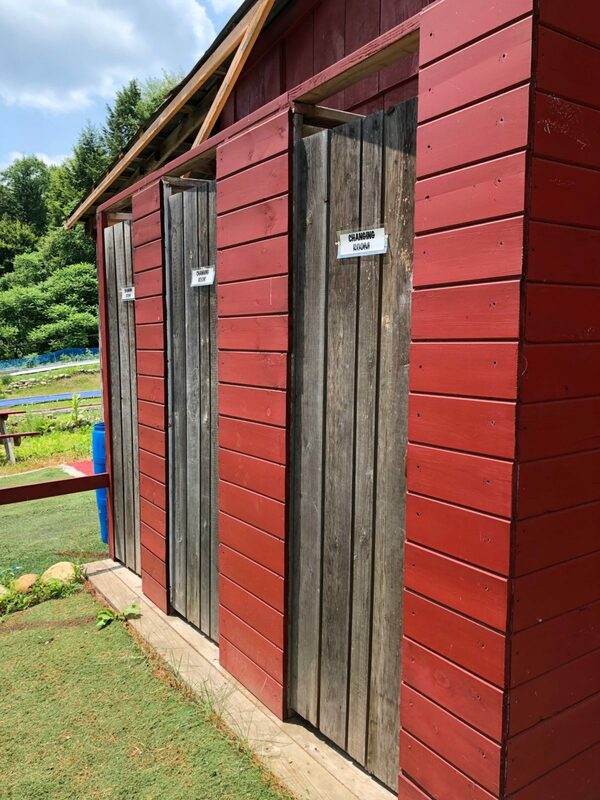 Unfortunately there is only one bathroom (in the store) and only three changing rooms (outdoors). It actually didn’t seem too crowded although our party of 8 needed to all change, so we took turns. I definitely think they need more bathrooms and changing rooms considering we had three busloads of people on the trip. Also check out my review of Adirondack Tubing, located just up the street. 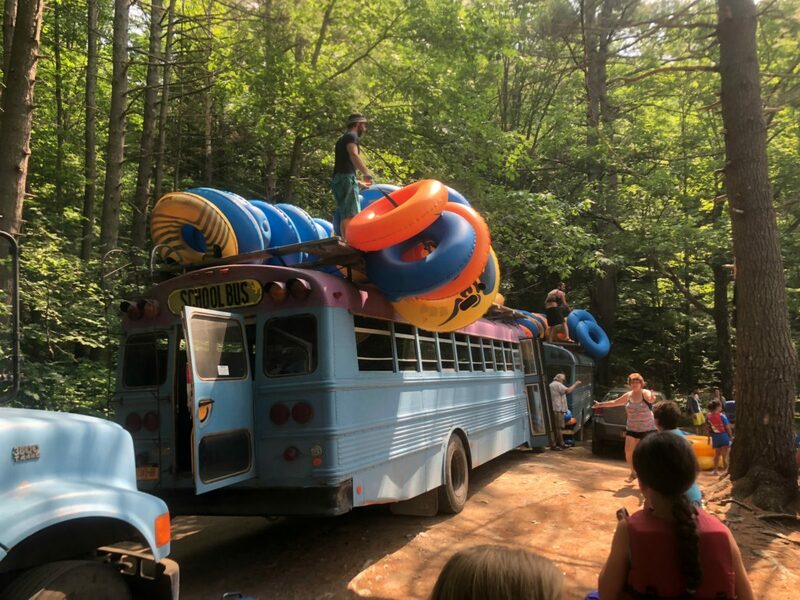 Our experiences were extremely similar at both locations, from the buses to the tubing to the number of changing rooms. 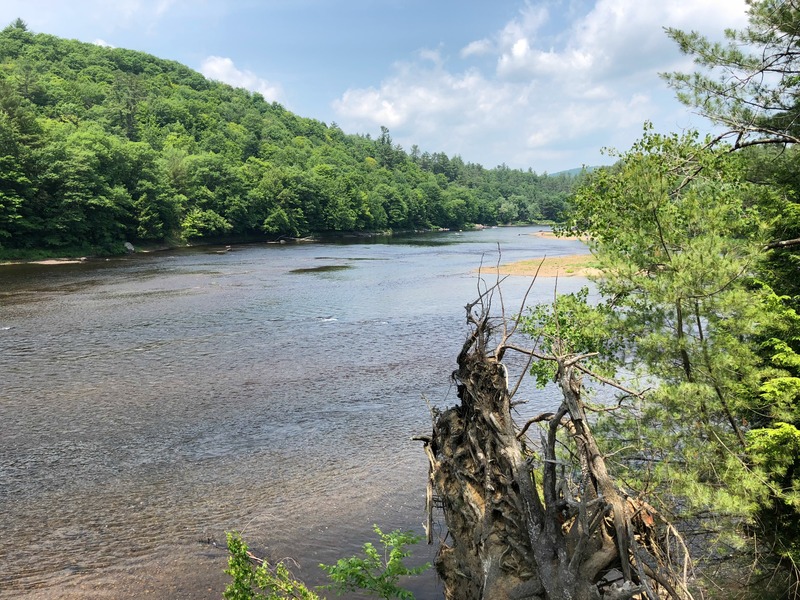 The only difference is that last year the swimming stop was at a different location, which was a little nicer, but I don’t know if those change depending on the river or the day. SO much fun. We now live in Los Angeles and I don’t think we have anything quite like this near by, but growing up in Texas we would travel to go tubing over the summers and it was always so much fun. I used to look forward to there trips with my families. I loved that you even provided what to bring, perfect! Amazon sells some amazing water proof cases for phones on Amazon that come in fun colors! I’d love to try this! I’ve never heard of them before, but I have seen these tubing adventures while travelling. Love the photos of the landscape too; so dreamy! It looks so much fun! 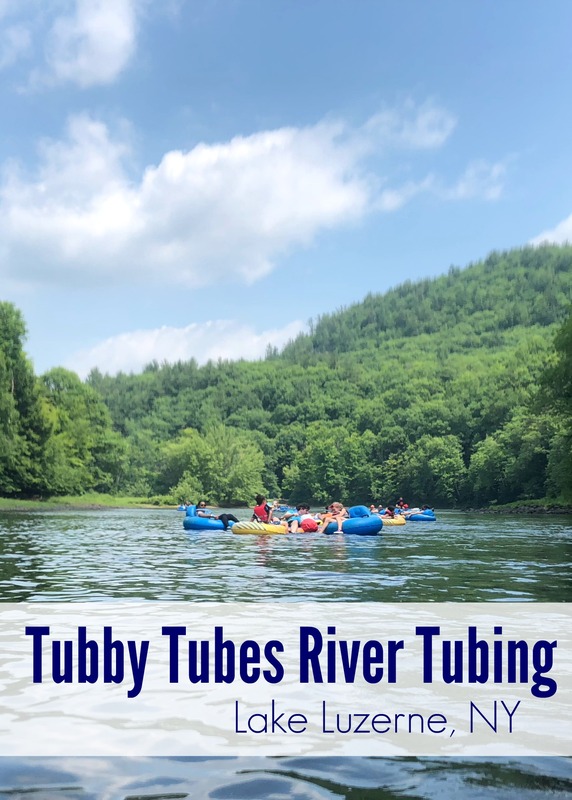 Summer for me means as many water activities as possible and tubing is one the family faves. Your photos look amazing. Well this looks like fun. I would love to visit there with my family some day. Wow! That is such a nice place to visit and it looks like a lot of fun. I love spending summertime with a lot of water activities. This looks like amazing place to visit there with friends and family. Love to be near nature. This looks like a blast. It reminds me of tubing down the Salt River in Arizona. I had a lot of fun, but I always needed more sunscreen than I had. This looks like so much fun! I have gone kayaking but not tubing yet! Looks like so much fun! Oh that picture of the blue bus with the tubes is just a perfect picture! I love it! This sounds like so much fun, I wish I lived closer so I could visit it too. I was surprised at the cost for tubing. We have gone a few times for much less. It is, however a wonderful and relaxing way to spend a summer day. The guides are a great idea! This tubing adventure does look fun, and safe, too. I know of adventure rides they don’t make everyone wear a life jacket. Good to know about how to get a deal, too. Wow!